The London Girl Geeks ran an event as part of Sci-Fi-London on 29 April 2010. 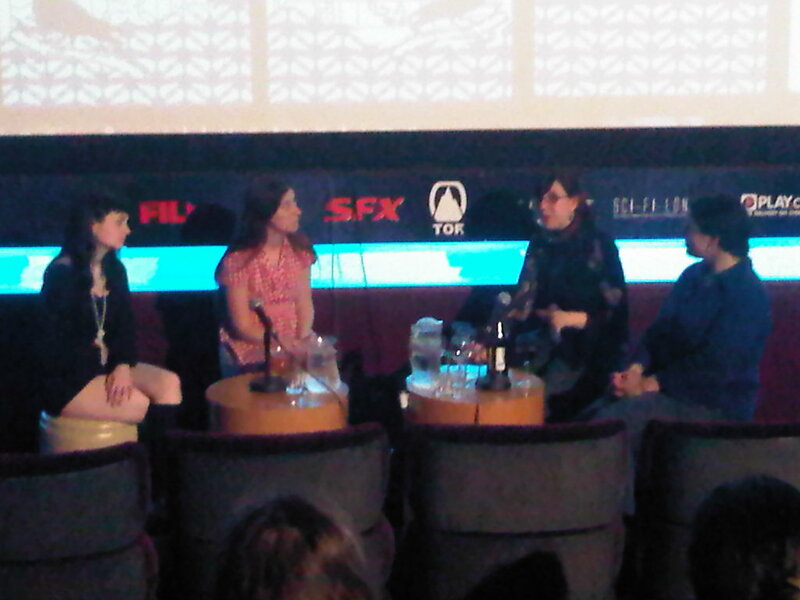 It was a discussion on manga with three women in the industry – Emma Vieceli, Kate Brown and Karen Rubins. One thing I noticed was how relaxed and informal it was. Everyone was taking turns to say things, and it was just like a chat. I spoke to Karen Rubins afterwards (check out Karen’s website for some amazing manga and graphic novels) — during the discussion, she came across as very relaxed and comfortable when she was speaking, and wanted to get her take on it. Karen Rubins self-published a graphic novel The Dark, co-authored with her sister Anna, and her Manga Tales by Ghost Light was nominated as a runner up and exhibited in the Embassy of Japan’s Manga Jiman competition. Karen said the comic industry is more informal and the three women know each other — so this could partly explain why the discussion was so comfortable. * The first thing to do is make a joke and make sure it’s funny, gets the audience on your side. It lightens the mood. (Although this has been disputed by someone else the other day, who said never make a joke – so who knows about this one! Guess it depends on whether you feel comfortable enough and, as Karen says, it’s funny). * Then the thought occurred: they’re just normal people like me. And they’re interested in what I have to say. not see eye to eye along with you even more!